John Birmingham started American Heroes to honor fallen American soldiers and help carry on their memory. 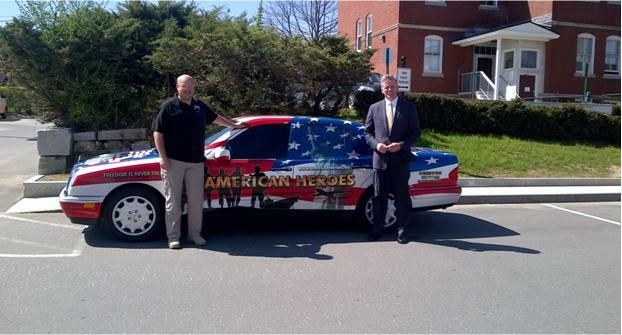 Birmingham will be travelling across the U.S. in this vehicle, known as the “American Heroes Tribute Car” as a mobile tribute and will be visiting with families of the fallen to pay respect. The car displays a photo of Army Spc. Dustin J. Harris, a soldier from the town of Patten who was killed in Iraq.